Yuu Shirota attended Horikoshi High School. His classmates was Tomohisa Yamashita, Teppei Koike. 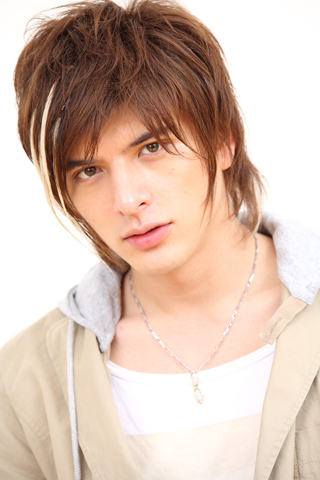 Yuu Shirota is half Spanish (mother) and half Japanese (father). Hana Mar 11 2019 6:59 am He is also in the series Kyo Kara Ore Wa (From Today, It's My Turn!!). He acts as the mafia boss there and his acting is 100% awesomeness (and he looks stunning). Joestar Group Dec 21 2018 2:41 pm He should've been Jotaro in the live action JoJo's Bizarre Adventure: Diamond is Unbreakable. American Fan Apr 28 2017 7:50 pm I love you!!! The coolest actor!!! Trisha Joyce Mallabo Apr 25 2017 3:29 am Iloveyou????? Eclaire Feb 21 2017 8:54 am You have Fans Club here....Ikemen! I hope for more role like Msin Character in romantic type. Excellent performance. :* Sep 28 2015 5:01 am Konnichiwa! I wish this website is still active and I also wish Shirota would pay some visit in here though (-_- ). This is for Yuu :). I am in college right now and I am doing my very best to excell in class and find a better job and would hopefully pay a visit in Japan to see you of course. My grandfather is a Japanese and just by that thought made me happy that we have the same race, well not really totally but atleast a bit haha. An 11yrs gap won't be a problem right? :p. I do terribly love everything about you, terribly is an understatement. I am your biggest fan and I'll follow you until you love me :). rhenka Dec 05 2014 12:57 am oh my god !!!! he is the man of man dreams :) i really want to see in person. haha though its kinda impossible . efrggf Sep 29 2014 10:43 am He's underrated on this site -_- Just watch Koshonin. He's doing such a great job! Holly Dec 26 2013 4:20 pm AHC and Priscilla, he's half Spanish half Japanese. jeanzkieh Jul 31 2013 12:55 am aisheteru yuu!!!!! you are so handsome!!! i'm crazy for yuuuuuuu!!!!!!!!! elaine Jan 26 2013 4:08 am love u po.......you're the cutest guy i see!! KiNa Feb 04 2012 1:37 pm Shirota Yuu is very handsome boy, and he really talented! I´m your FAN from Europe! konan Arina Dec 20 2011 6:22 pm I really love..cause he has a nice voice,good in acting,n he can spoke spanish...he's very talented guy..love u..
roAn Nov 05 2011 3:09 am .I really like your face, you're so handsome. .I wish I could see you in person. J-DramaGirl Jul 05 2011 4:41 pm I love Shirota Yuu! I feel like a perv for being so into him even though he's gay! treva May 21 2011 9:37 pm I think you are so cutt.You are a guy I can see myself with. I have always loved Japan,and Spain too. If you are ever in America call me 863-401-9114. Maybe You and me can do something sometime. I Whould love to hear from you,It means the world to me. :) Jan 25 2011 9:58 pm So, I heard you play Syrnia now. Madrigal Sep 25 2010 9:36 pm Impressive work done so far. Any unbiased critic could easily see the potential you've shown and continue to show, as well as the successful efforts towards improvement and success. Excellent technique in tennis and guitar, by the way. You're one of few actors who had never disappointed me. Ciao. yie Jun 26 2010 7:05 am すばらし おとこ! chin2x Apr 04 2010 8:49 am konichiwa!! good day to u yuu,..hey i like your style also when you played your guitar,..i like it i luv to play guitar,..but Im not good at it only a little bit,..ok thnx..god blessed. jasmin avyel Mar 21 2010 9:07 pm hey kuya zup?